In recent years, interest in the Linux family of operating systems has grown steadily, despite continued heavy investments by Microsoft and Apple in their respective proprietary OS'es. According to one source, Linux market share has gone from just around 2% in 2003 to about 5% in 2012. That may not seem like much, but compare it to Mac OS X, which went from under 2% to around 9% in the same amount of time, with the backing of Apple's huge advertising budget and hardware support. Not to mention Microsoft's advertising luring people to their side as well. So why are people interested in Linux? I won't go into too much detail here, because I assume if you made it here, you're convinced Linux is worth a try. But for starters, it's free and open source, it's very secure and stable, it comes in hundreds of different distributions, and it's increasingly user-friendly as well. There are a few different ways to try out an operating system. 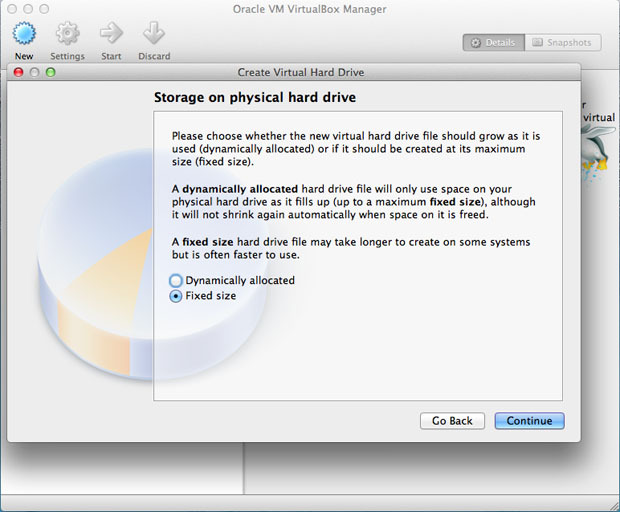 One way is to simply install it, which requires either writing over your current hard drive, installing onto a new blank hard drive, or creating a partition and installing to that. This is probably the most time consuming method, but is best for a permanent installation. 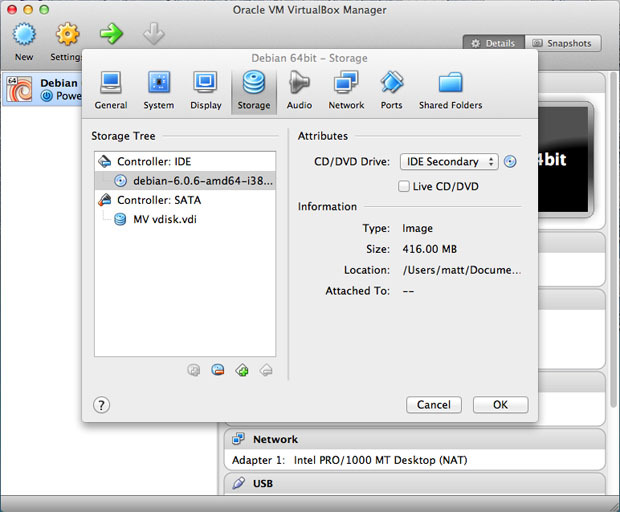 Another way is to run it from a Live CD or Live USB drive. Several Linux distros are custom built to utilize this method in particular, and many Linux distros do it pretty well anyways. But this is another method which requires you to shut down your computer and run Linux outside of your current operating system. The final method, and one we will be using here, is to set up a Linux virtual machine which runs inside of your current operating system. 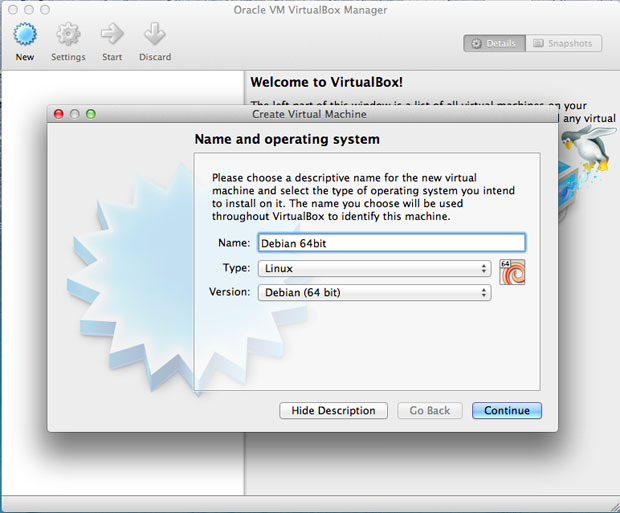 The software we will be using to set up a virtual machine is called VirtualBox. 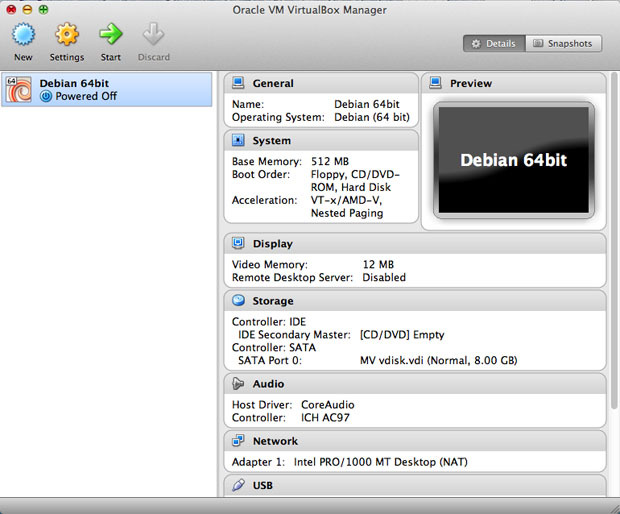 It is free software used for virtualization, and can be used to set up virtual instances of Linux, as well as Windows and Mac. 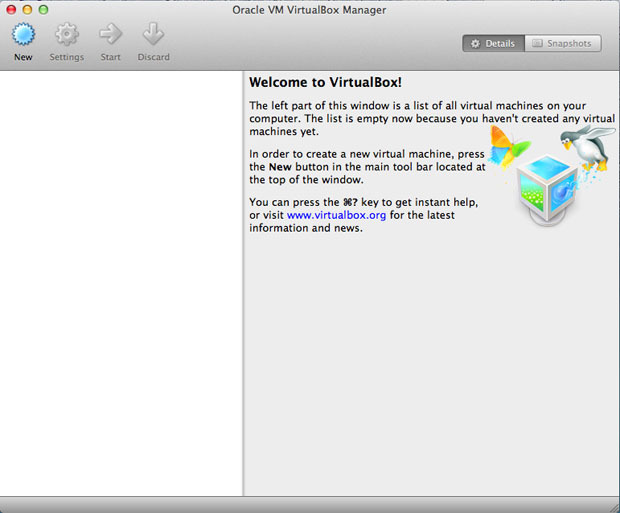 Just go to the VirtualBox website and click on the version for your operating system to download the installer. Installation should be pretty self explanatory, just open the installer and click next until it's done! There are literally hundreds of different distributions out there, including general purpose distros, file recovery distros, penetration testing distros, etc. Picking out a distribution is beyond the scope of this article, but two that I often recommend are Ubuntu and Mint Linux. These are both user-friendly distributions intended for a general audience, are very popular, and therefore have large communities willing to lend support for various problems. They are both based, to a large degree, on Debian, one of the oldest distributions of Linux, but also one of the most secure, and a very strict follower of free and open source software (FOSS) principles. 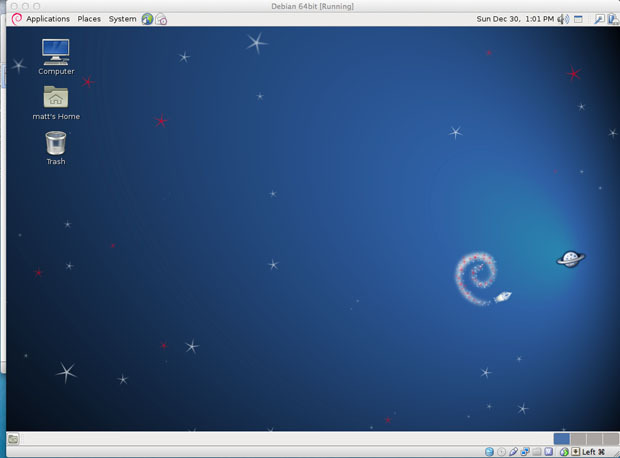 Debian lacks some of the polish of more recent distros, but serves as a base for many newer distros, and is known for working on almost any hardware setup. 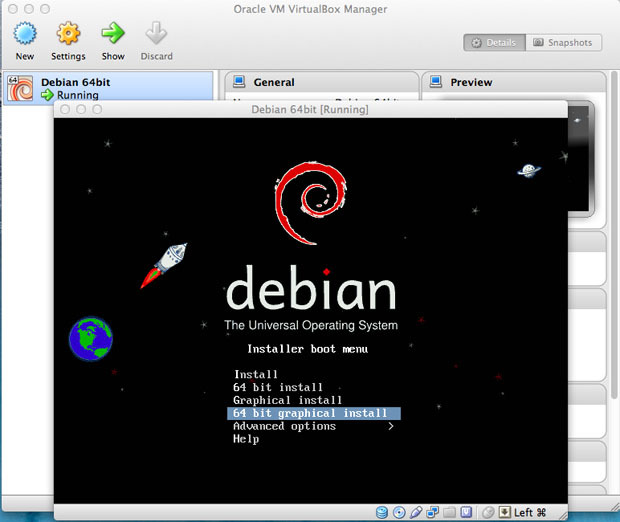 I will be using Debian for the rest of this tutorial, but as long as you have your favorite distro downloaded in .ISO format, you're good to go. Make sure you have the correct version for your processor type as well. 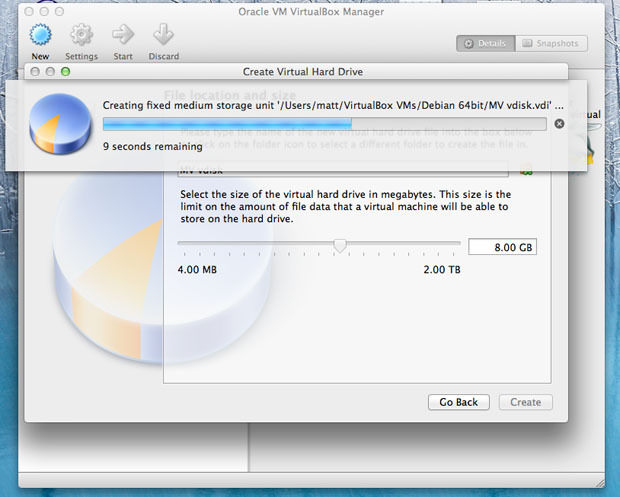 After you select that drive, you should see the following on the right side of the window. 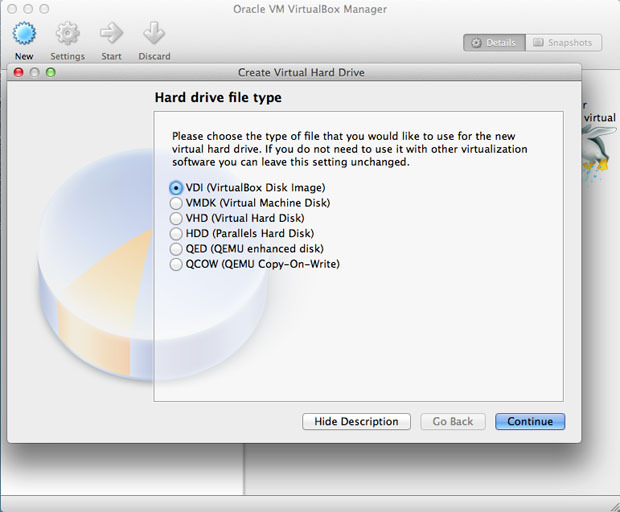 Click the CD icon, then when the menu below appears, click on "Choose a virtual CD/DVD disk file..." A file browser should pop up - just navigate to the ISO file you downloaded and select it. And that should be all you need to get up and running! 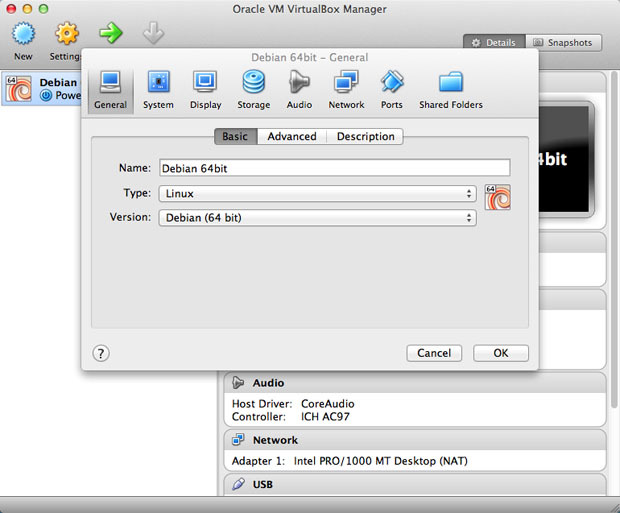 To shut down your virtual machine, you should use the shutdown dialog within the distro you installed, as you would if it was on a standalone computer. 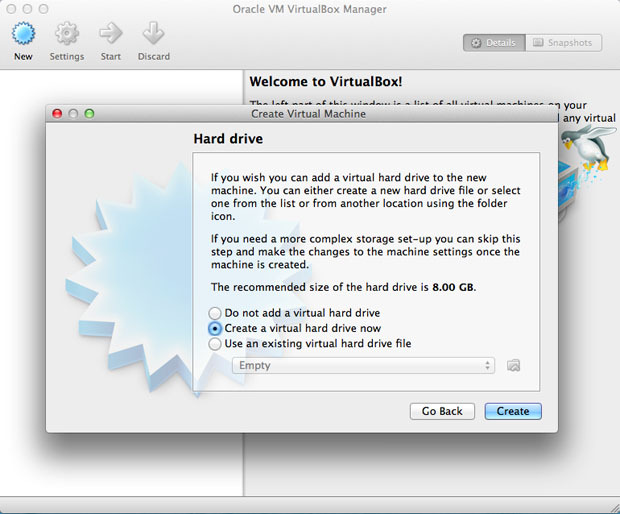 VirtualBox will receive the shutdown signal once it's safe to turn off, and terminate the virtual machine. 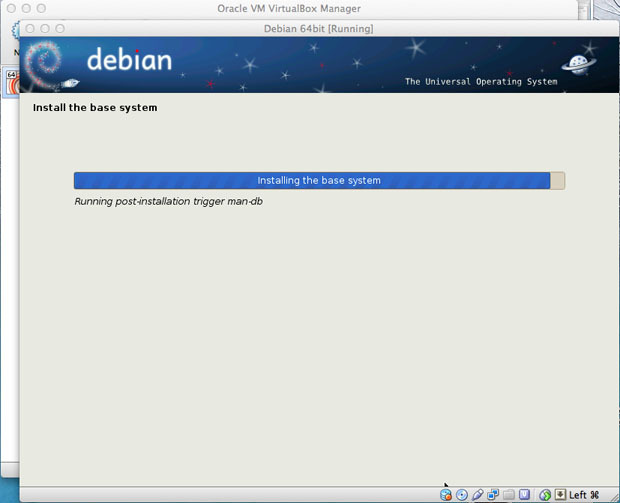 NOTE: If you don't have hardware assisted virtualization turned on in your computer's BIOS, you will have serious problems running any virtual machine. Most Intel-based Macs should have hardware virtualization turned on by default, but on Windows PCs it is sometimes turned off at the factory, presumably for security reasons. This Microsoft support page explains how to turn it on. If you have any other questions, just leave a comment!